Blonde girl rolls a suitcase near the airport terminal. slow motion. 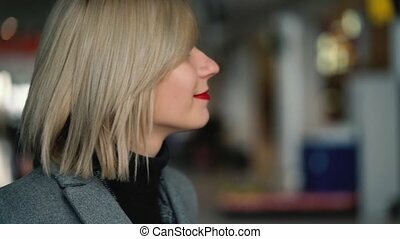 Blonde girl rolls a suitcase near the airport terminal. modern glass airport building in the background. slow motion. 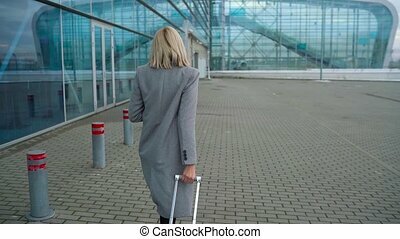 Back view of traveler woman legs walking with a suitcase in the airport. Girl with backpack flies on vacation. Female goes across the parking place. 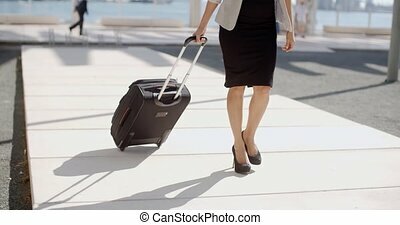 Girl in heels walking to airport and rolling suitcase on wheels. 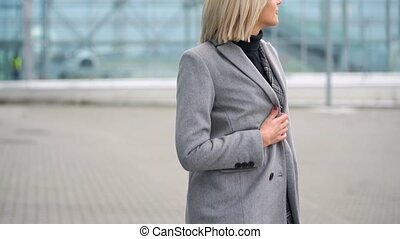 Business lady entering going to glass door with her luggage. 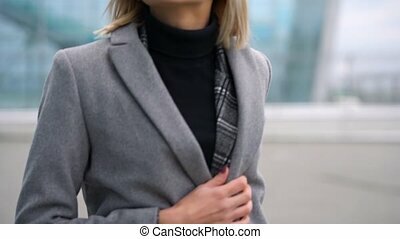 Woman carrying a suit case. Trip or vacation travel concept. Slow motion. 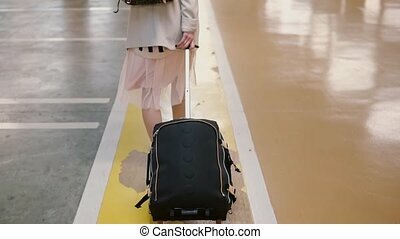 Young woman in heels walking with her suitcase to entrance of airport. 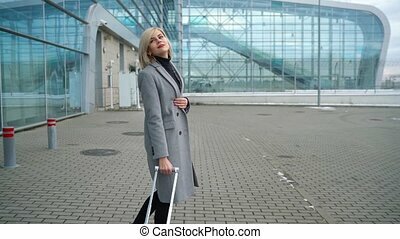 Business lady going to the airport with her luggage. Girl roll suitcase on wheels. Trip or vacation travel concept. Slow motion. 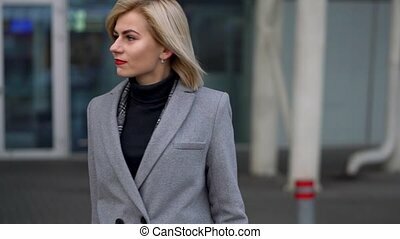 Business lady going to taxi parking from the airport with her luggage. Girl in heels stepping and roll suitcase on wheels. 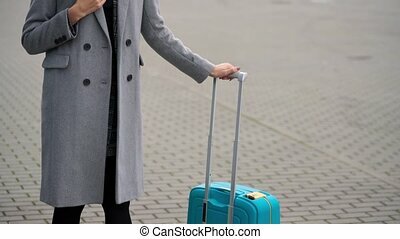 Woman walking with her suitcase along street. Travel concept. Slow motion. Business lady going to the airport with her luggage. 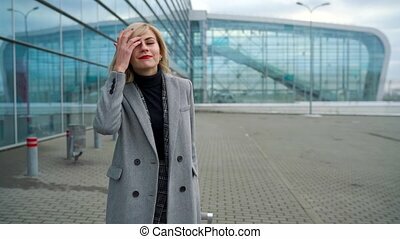 Young woman in heels entering walking through glass doors to the terminal and roll suitcase on wheels. Trip or vacation travel concept. Slow motion. 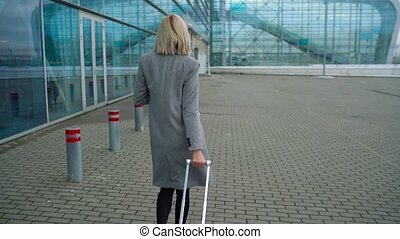 Business lady walking from the airport with her luggage. Woman in heels going through glass door to the street and roll her suitcase on wheels. Sun flare at background. Trip concept. Slow motion. 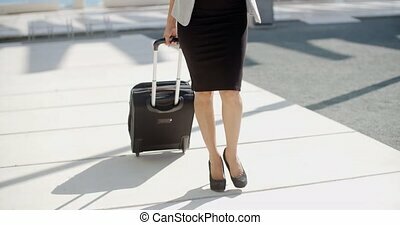 Elegant woman in stylish high heels and dress going on a business trip pulling her suitcase along the sidewalk behind her close up of her legs.